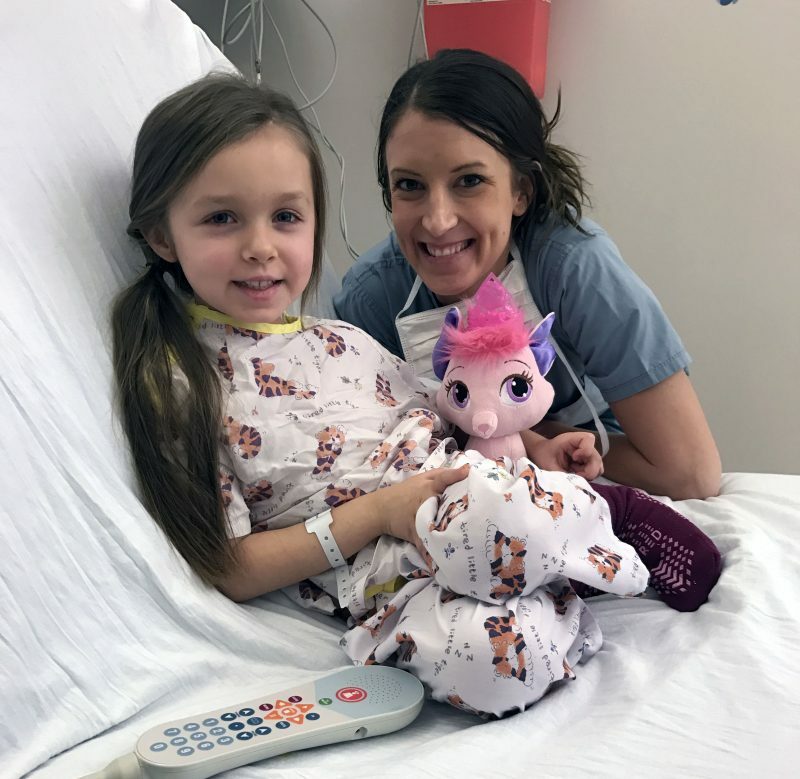 Sophia, 5, was so brave and strong during surgery! My daughter, Sophia, had her tonsils and adenoids removed today by Dr. (Jared) Bunevich at Akron Children’s Boardman. All of the staff – including the lovely volunteer front desk attendant – was very helpful and courteous. Sophie has a bit of a “white coat” phobia and kind of freaks out over the smallest of tasks – like standing on a scale or putting a super cute mini tiger grown on. BUT, as soon as the child life specialist, Korie, walked into our room the day was 10 times better. She sat on the bed with Sophie and talked to her, explained all of the tools, showed her a picture of the operating room, etc. I can’t tell you enough how much her father and I appreciate that extra step that comforted not only her, but us as well. She walked hand in hand to the operating room with Korie with a smile on her face – unlike the scary scale debacle. Thank you to all of the nurses – Sherry, Karen, Korie, and more I’m sure that we didn’t get to meet – as well as to Dr. Brown and Dr. Bunevich for the exceptional care and compassion.